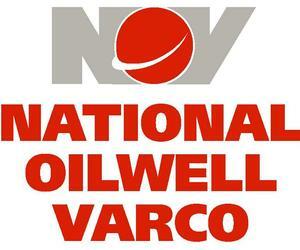 The US-based multinational company National Oilwell Varco and its subsidiaries Dreco Energy Services and NOV Elmar joined the long list of companies punished by the US Office of Foreign Assets Control (OFAC) for having violated the over-50-year economic, commercial and financial blockade of Cuba. According to Granma newspaper, on November 14, OFAC with the US Treasury imposed the US-based a fine amounting to 5 million 976 thousand 28 dollars because its subsidiary Dreco Energy Services had 45 transactions between 2007 and 2009 linked to the sale of products to Cuba for a value of 1 million 707 thousand 964 dollars. Meanwhile, between 2007 and 2008, the other subsidiary NOV Elmar was involved in two transactions related to the sale to Cuba of goods and services at a value of 103 thousand 119 dollars. This is the fourth fine imposed by OFAC this year in its enforcement of the US economic blockade of the island. Despite the steps given by the Obama administration aimed at modifying the implementation of some aspects of the blockade and his calls for Congress to definitive lift the criminal policy, the agencies entitled to implement the economic harassment of Cuba still persist in imposing huge fines. According to analysts, this policy only raises concern in those economic sectors interested in establishing commercial links with Cuba and proves that the effects and damage inflicted by the blockade on Cuban economy are still there.